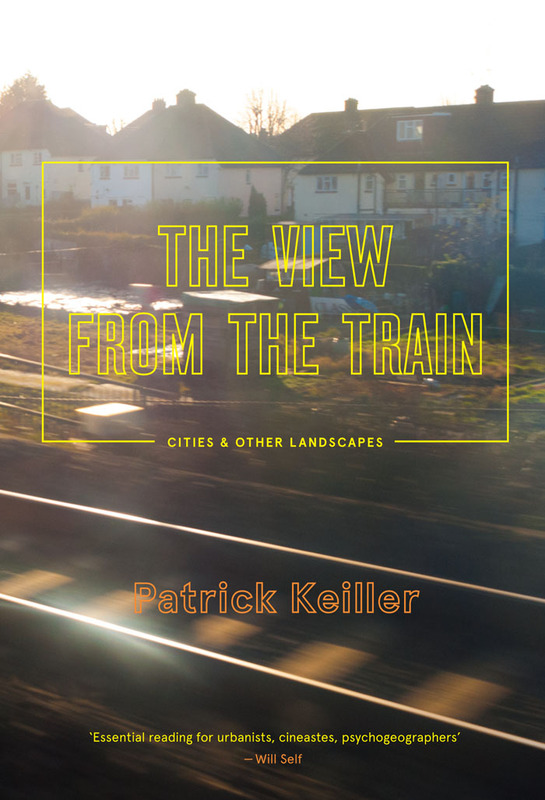 Patrick Keiller’s The View from the Train, a book full of insights about urban and rural space in Britain as well as Keiller’s own film practice, has been praised in a number of recent reviews. The book made both the Financial Times and the Observer’s list of Books of the Year for 2013. According to the Financial Times, ‘Keiller is Britain’s most observant and provocative film-maker around the subject of cities and the landscape’. His essay collection is ‘wonderful’. The Observer had similar praise for The View from the Train, which it describes as ‘perceptive, educated, un-obvious musings on place and inhabitation’. An enlightening and stimulating companion to his films. Keiller is a masterful observer. … His learned account of the earliest film panoramas filmed from trains is that of a man in love with the history and technique of cinema. He looks at urban buildings with a coldly original vision. "In London now, psychogeography leads not so much to avant-garde architecture" – as the school of thought's 1960s French originators intended – "as to gentrification." Elsewhere, Patrick Keiller has recently been interviewed in Vice magazine and on Radio 4’s show Start the Week. In Vice, Nathalie Olah interviews Keiller, discussing a range of different subjects from the Heygate estate to Boris Johnson to housing speculation. Keiller criticises the social atomisation that many people feel in British cities today, but also argues that we must seek to overcome a simple nostalgia for rural, tight-knit communities. He links the decline and degradation – what he calls ‘dilapidation’ – of British cities to the financial crisis and a more general sense of social and economic decline in the last 30 years. Keiller himself works within these landscapes, exploring them with his camera. Bridget Kendall talks to Keiller among other guests on the radio show Start the Week. Discussing ‘Britain’s changing landscape’ and its ‘cycles of regeneration and decline’, they touch on subjects from the mechanization of life to the homogenization of cities. As Kendall argues, ‘with his film-maker’s eye, [he] penetrates beneath the surface to explore invisible reality’; this is the process he describes in The View from the Train. 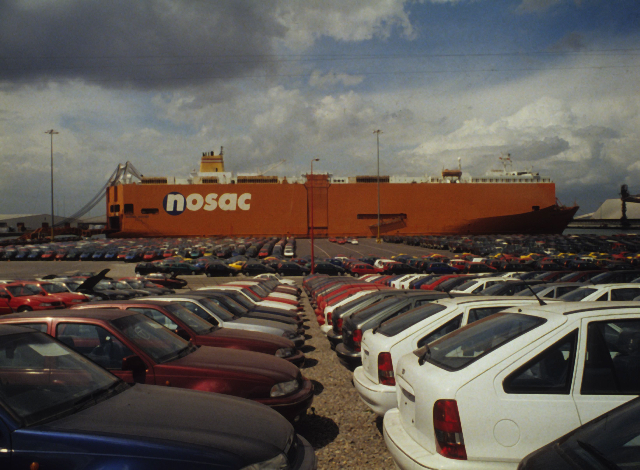 Keiller discusses how he began making films, trying to capture something of the dilapidation of buildings, cities, ports; he says that ‘Dilapidation seems to be a permanent state of large parts of Britain’s urban fabric’. They discuss the changes in urban planning over the last decades and the decline of community, which, again, Keiller believes can only be overcome by engagement with modern cities, not in nostalgia for a lost agricultural paradise.